Looking for Bifolding Door Blinds? 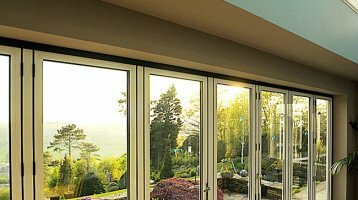 Cheam Windows already supply what many say are the industry’s best bi-folding doors. We can also help you transform your home with our range of made to measure Bi-folding Door Blinds. As well as the finest bi-folding doors, Cheam Windows can complete the makeover of your home and your living space with our Origin made-to-measure blinds. 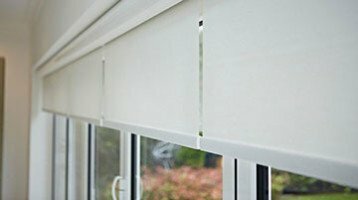 The finest blinds – Electric roller blinds. Origin electric roller blinds offer the ultimate in style. 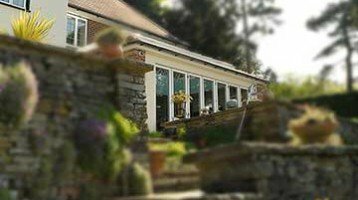 Designed as well as your new bi-folding doors, they tuck away out of sight within the reveal. Installed with care and attention, they remotely operate by hand held controls or wall-mounted touch screen, both wire free. Indoor sensors can even be made to open and close at sun up and sun down for lower power bills and added security. Cheam Windows can supply Origin Door Blinds in an large range of colours and fabrics to suit both modern and traditional tastes including plains, patterns and voiles, with a range of translucency and water-resistant options. 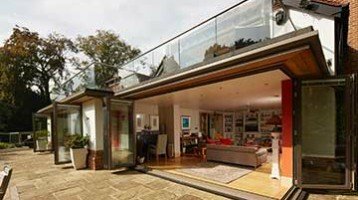 What kind of Bifolding door blinds are available? Our Panel blinds are simple, neat and modern. They are well suited to large openings. Panel blinds have panels that neatly stack behind each other allowing the maximum amount of light to enter your room. You can either choose single colours or create your own look with a mix of fabrics. Panel blinds are easily operated using a simple wand or cord system to provide as much privacy or shade as you need. If necessary the track of the blinds can extend beyond the reveal for a completely clear view, and when closed they create a floor-to-ceiling feature (or even a perfect room divider) especially when combining different fabrics, colours or patterns from or range. Typical of the classic folding blind, our Roman Blinds are elegant, fashionable and flexible. They will go with any décor with a range of fabrics and subtle textures. Roman blinds add a sumptuous feel to both modern and traditional settings. Available with a smooth, even finish or a soft-fold cascade style, both feature a super smooth mechanism. We also offer Vertical Blinds for bi-folding doors, discreet and classy and offering a flexible shading option. They are able to rotate through 180° and move across the headrails to any position. Ideal for smaller doors or larger windows. Fabric options include modern colourways, stylish jacquard weaves and beautiful natural hues.